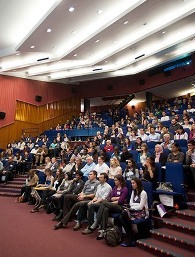 On Friday 14 June 2013, the Graduate School welcomed over 250 PhD researchers and staff from across the University to its inaugural PhD Research Conference. This event celebrated the diversity and excellence of current postgraduate research taking place at Reading and featured researchers from across all four Faculties. The afternoon began with what was a highlight for many, the Three Minute Thesis Competition. Earlier heats had seen over 40 entrants whittled down to 12 finalists, who were all tasked with presenting their doctoral research in an engaging manner – but in no more than three minutes! As Professor Dianne Berry, Director of PGR Studies, noted in her opening remarks, the Three Minute Thesis Competition draws attention to a vital skill that all postgraduates need to develop, the ability to describe their research clearly and succinctly to a non-specialist audience. All the finalists did brilliantly and talked on a range of subjects from supersizing pea pods to contemporary landscape design in India. Although it was a difficult decision, the judges awarded first place to Jessica Sage from the Department of English Literature with her talk ‘Questioning constructions of the child in Lewis Carroll’s photographs’. Runner-up was Isabelle Pérès from the School of Psychology/School of Pharmacy with her talk ‘Cannabis and epilepsy’. During the refreshment break, conference delegates were able to view the Research Poster Competition display. This featured 27 posters and a judging panel, chaired by Pro-Vice Chancellor, Professor Christine Williams, awarded first prize to Jennifer Wickens from the School of Agriculture, Policy & Development. Jennifer’s poster was entitled ‘Pollinator flow across agroecosystems’. Runners-up were Kerstin Thirlwall (School of Psychology & Clinical Language Sciences), Lorna Zischka (Department of Economics) and Petra Verlinden (Department of Archaeology). Each of the above winners had been nominated by their Faculty as outstanding third year PhD researchers, and all had established themselves within the wider research community of their respective subject areas. Each delivered a short presentation on their doctoral research and also reflected on their time at Reading and how they had developed as researchers during the course of their studies. 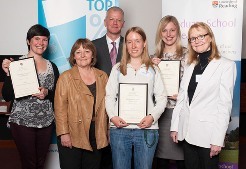 The Vice-Chancellor, Sir David Bell, presented Katherine Livingstone with the PhD Researcher of the Year Award for 2013. Katherine’s research, into the role of milk and dairy products in cardiovascular health, has taken her to conferences and seminars from Finland to China. In the week following her award for PhD Researcher of the Year, Katherine won a prestigious Rank Nutrition Prize for PhD students. The Graduate School congratulates all competition winners and finalists and would like to thank all those PhD researchers and staff who participated in our first PhD Research Conference. We’ve received some great feedback and are already planning for 2014! One of our AHRC-funded doctoral researchers, Ilaria Poerio [PhD – Italian Studies], has been successful in securing an International Placement Scheme (IPS) fellowship. For a period of three months, Ilaria will be conducting research at the Library of Congress in Washington, D.C. The Library of Congress serves as the research arm of the United States Congress and is the country’s oldest federal cultural institution. This placement therefore represents a wonderful opportunity. “From 1926 to 1943, 13,000 Italians were interned within 262 camps. My thesis addresses not only the legal framework that allowed this form of repression, but also the detainees’ experience. A focused analysis on the daily life of confinement will reveal the intense cultural and political development that represented a crucial part in the self-identity building process. Through the analysis of the regime’s repressive capability, and in particular of the institution of confino, new keys can be found to depict and to interpret several instances of antifascism in Italy and confined antifascism’s real potential in organizing and cultivating new forms of dissent. This goal will be also pursued by looking at connections developed by antifascists in Italy and the Antifascism in exile. There are strong clues that there were relations and that political information spread over the Atlantic, linking the two sides of the Italian Fascism opponents in and out of the country. The Anarchism Collection, stored at the Library of Congress will provide interesting inputs regarding the Italian antifascist propaganda activities in the USA, while the Italian Captured Documents Collection (1925-1945) offers information regarding the Italian communists’ activities into the country. Both collections will be enlightening in addressing the extent to which detainees were part of a wider, transnational network of antifascist operators, mapping their connections, as well as documenting the extent to which the experience of confinement was debated in anti-fascist Italian circles and represented in their propaganda”. 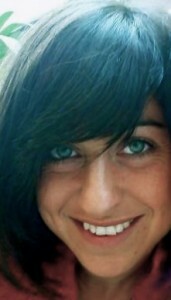 Ilaria Poerio is supervised by Professor Christopher Duggan and Dr Daniela La Penna.